[S861] Unknown author, "Family group record for Hans Glauner." [S862] Unknown author, "Family group record for Salvator Wurm." [S863] Unknown author, "Family group record for Johann Marx Glauner." [S864] Unknown author, "Family group record for Johann Georg Glauner." [S865] Unknown author, "Family record for Johann Gottfried Weber." [S868] Unknown author, "Family group record for Hans Georg Baldenhofer." 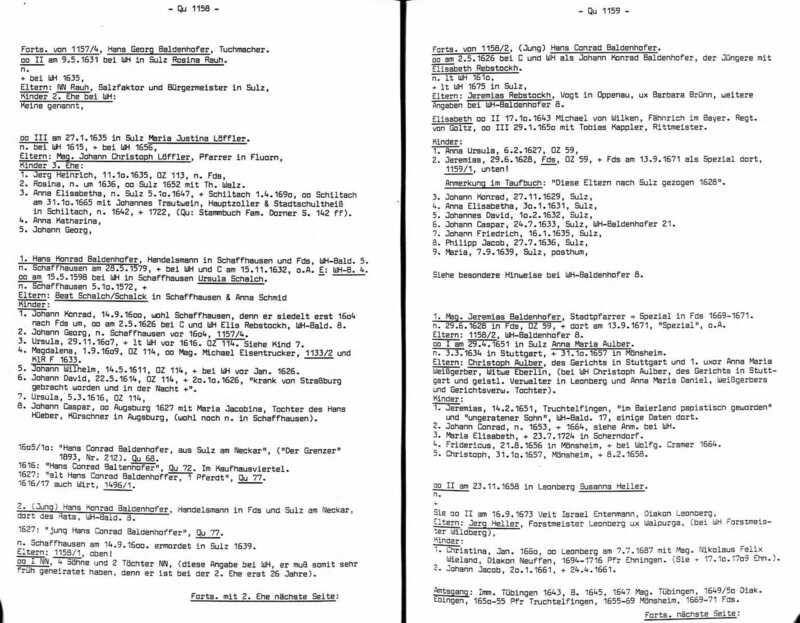 [S875] Unknown author, "Family group record for Hans Konrad Baldenhofer." [S382] Find A Grave, online www.findagrave.com, Husband's findagrave memorial page.